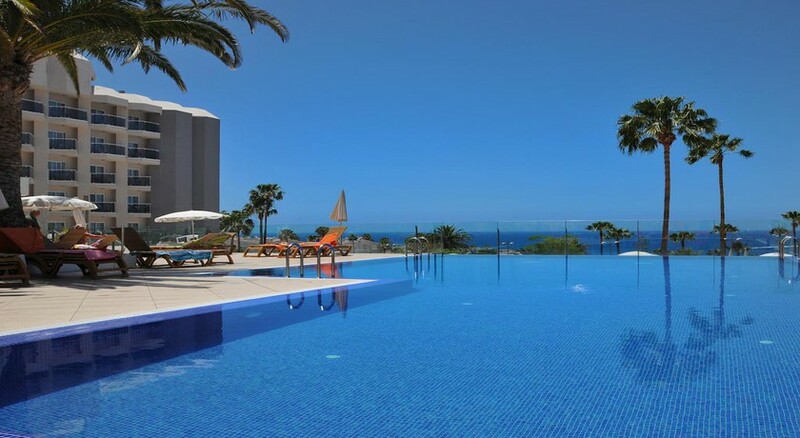 Hovima Costa Adeje is an exclusive adults-only hotel in Costa Adeje in the Spanish island of Tenerife. It provides all-inclusive services, along with well-furnished rooms for guests who have sophisticated tastes and choices. The hotel is strictly for adults and the minimum age requirement for guests is 16 years (accompanied by an adult of above 18 years). 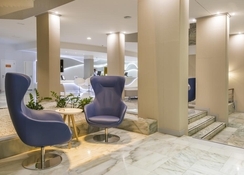 The hotel regularly receives high ratings from its guests and features a range of world-class amenities and facilities, which includes themed restaurant, a clutch of bars, tennis court, soccer field, multi-sports court and games room. There is free Wi-Fi and special discounts and goodies for Hovima Club members. They also receive welcome basket, complimentary drinks with meals, and hefty discounts on alcohol and spa services. The hotel provides car and bike rentals, organizes day trips and excursions and has plenty of room for a range of outdoor sports. Together with its large infinity pool and luxurious spa, hotel Hovima Costa Adeje is a fine example of elegance and sophistication. 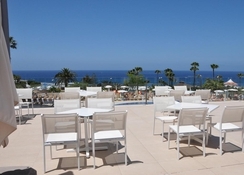 The hotel is located on the southwest part of the island of Tenerife. The nearest airport is Tenerife South, which is located at a distance of almost 16 km. It is a 17-min drive from the airport to the hotel. 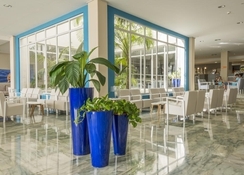 The location of the hotel is perfect for a day trip to the cities of San Cristobal de Laguna and Santa Cruz de Tenerife. The former takes about 2 hours to reach, while the latter takes about 1 hour 46 minutes. The rooms at Hovima Costa Adeje are sophisticated, well-appointed and have a contemporary feel to them. They come in a range of categories: Double Comfort, Double Superior, Double Excellence, Junior Suite, Suite Excellence and Suite Hovima Excellence. The rooms afford panoramic views of the sea outside and feature facilities such as TV, en-suite bathroom with shower, full-sized mirror, air-conditioning and electronic safe. Guests can book sunbeds near the pool, check-in late and enjoy premium drinks at discounted prices. 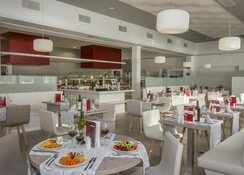 The hotel offers buffet services for breakfast and a-la-carte menu for lunch and dinner at its main restaurant, named Ocean Blue. Entry to the restaurant requires formal clothes. 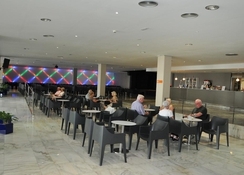 There is also a pool bar, a snack bar and a lobby bar for drinks, cocktails and snacks. The hotel has a large swimming pool, which is heated during the winter and an infinity pool. The spa is a luxurious establishment, complete with Jacuzzi, steam cabins, thematic showers, dry sauna, fitness centre, relaxation beds and massage parlours. If you are bored of relaxing all day, you might want to indulge in some outdoor sports. Hovima Costa Adeje has a large football field, a wonderful tennis court, a billiards table and a multi-functional court. You can also go on a hiking or a biking trip and explore the wilderness of the beautiful island of Tenerife – the hotel provides cars and bikes on rent. Tickets for excursions and parks are available directly at the hotel. There is also a TV and games room for guests to enjoy the latest episodes of their favourite shows or indulge in a lively session of a video game.